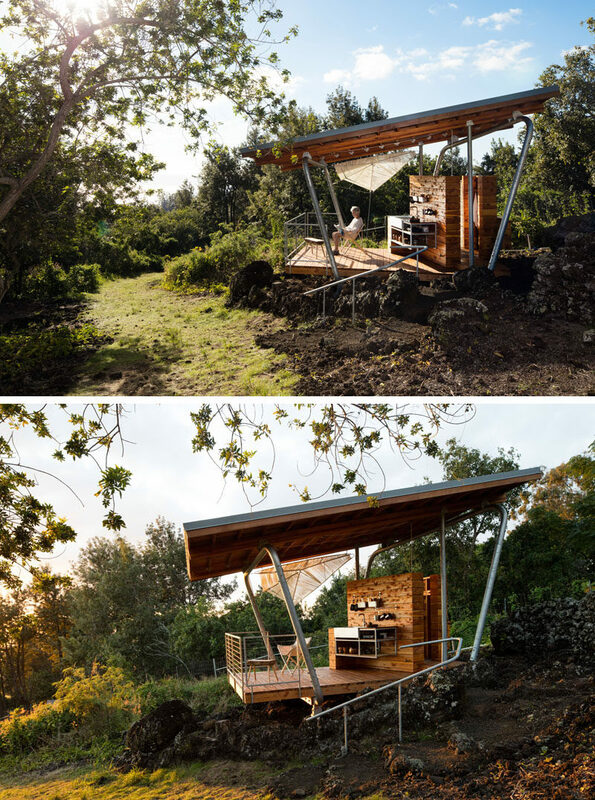 When FLOAT architectural research and design were approached by their client to create a building that would allow her to connect to the land and its surroundings, they came up with the idea of designing two pavilions that both straddle a three-hundred year old lava flow on Maui, Hawaii. 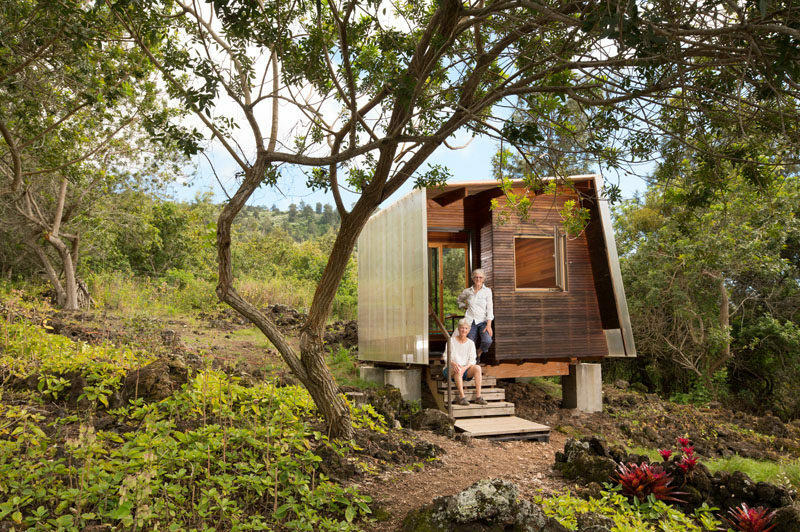 The first pavilion (enclosed pavilion) is named Mauka after the Hawaiian word for “inland toward the mountains.” It houses a small bedroom that looks out towards the lava flow through a large sliding window. 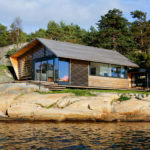 Inside, the walls are covered in wood and there’s just enough room for a bed, a built-in bench and a small desk with chair. The second pavilion (or outdoor pavilion) is named Makai after the Hawaiian word for seaward, as it has views of the Pacific and the island of Kahoolawe. 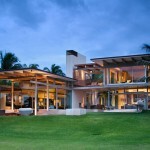 The Makai pavilion is a prefabricated, galvanized steel structure that’s anchored to the ground with four threaded rods. 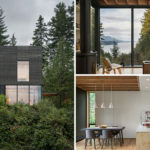 The decking and cladding have been milled from juniper, a tree that is harvested to protect ground water and habitat in the Pacific Northwest. 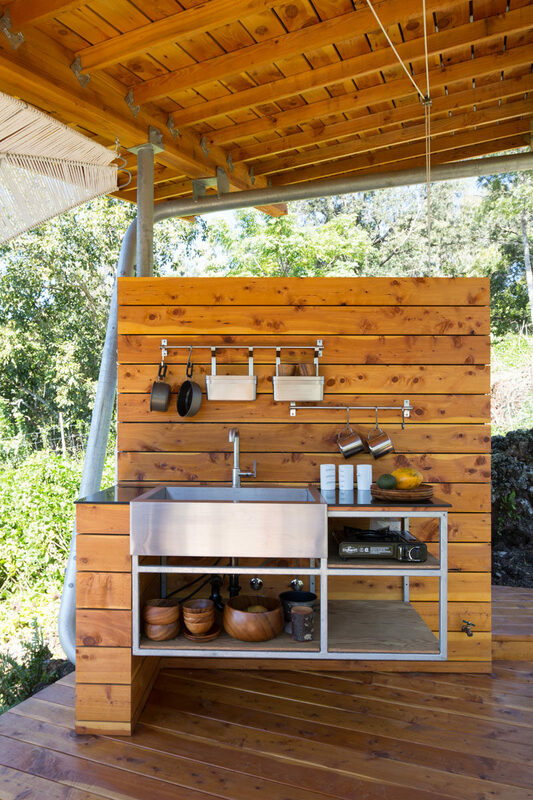 The outdoor pavilion also has a kitchen with a stainless steel shelving unit and sink. 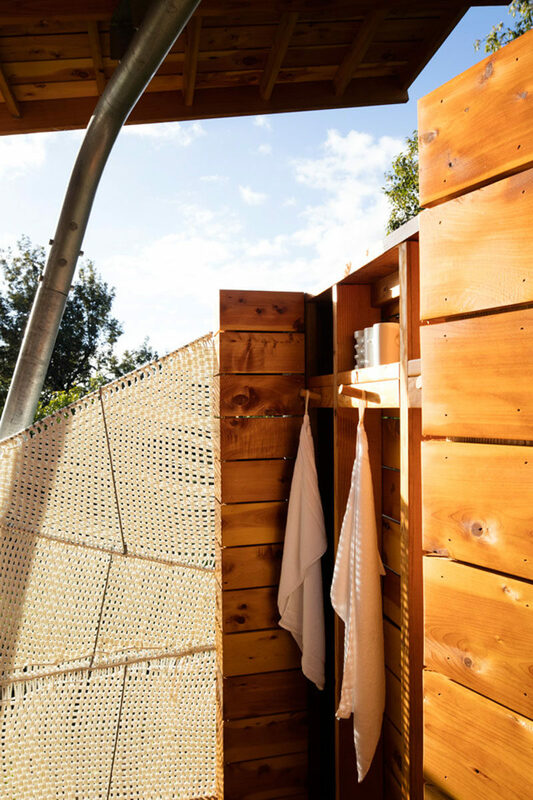 Behind the kitchen is an open shower, with some privacy provided by a woven marine rope shaded panel that was created by the designer of the project.